Oh my, oh my, do we ever need more excuses to do nice, be kind and spread happy! Subtitled 80 Ways to make the world a better place, how could one resist pushing this book into the arms of every child in known existence? A cross between a non-fiction compilation and activity book, this gorgeously-produced tome is jam-packed with wonderful ways to Pay It Forward. Intensely creative ideas (read: not the same old, same old) are presented one-per page, with such entries as leaving a few coins in a vending machine for the next person, sending anonymous 'get well soon' cards to children's hospitals, or writing a lovely note to cafe waitstaff on the back of the receipt. My favourite is the 'leave a sweet note on a heap of cars in a car park'. The thought of receiving such a note on a hectic shopping or work day, written in the hand of a child, brought tears to my eyes. This book doesn't purport to ease world hunger or solve political crises, but what it does do is work at the coalface of our future--our children ... and their hearts. We all know it's the little things that matter most, and for that reason, this book is wise beyond the years. Whack it in the Christmas stocking this year and watch your kids spread happy. 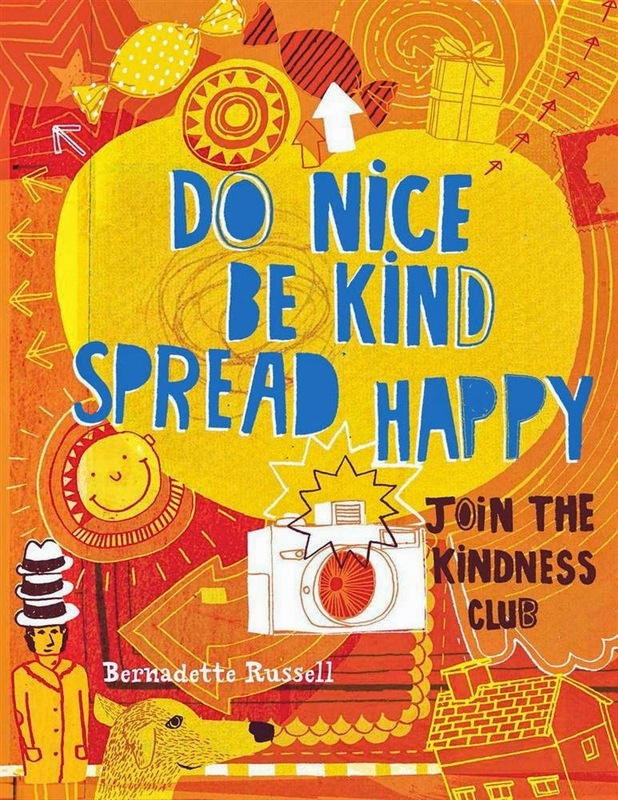 Watch out for our giveaway of Do Nice, Be Kind, Spread Happy, this July on KBR.